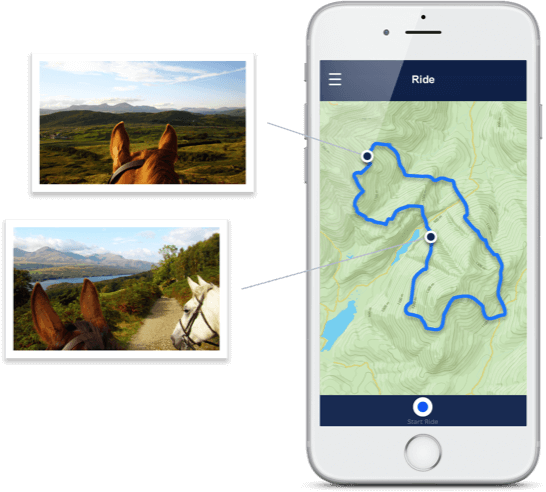 Earn HuufeCoin as you track rides on the Huufe App The more active you & your horse are, the more you earn. You can also earn HuufeCoin by inviting friends to join Huufe and pick up your daily HuufeCoin just by simply opening the app! Go to the HuufeCoin marketplace where you will find great offers & products from your favorite equestrian brands. Treat yourself (or your horse) to something you really want using HuufeCoin! 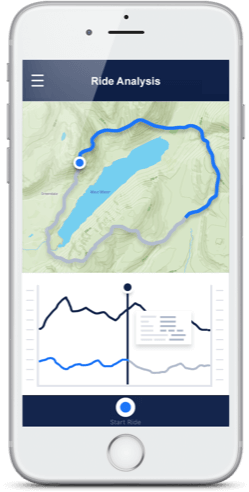 There is more to ride tracking than just earning HuufeCoin… Using only your smartphone, Huufe uses GPS to track your rides. Where you went, when and how far. These rides are stored, on maps, in your activity feed, in your personal Huufe profile. Pictures and videos you take with your phone can be added – automatically. Competitions, training or hacking, you have a detailed record of all your activities. Create your own personal equine profile. 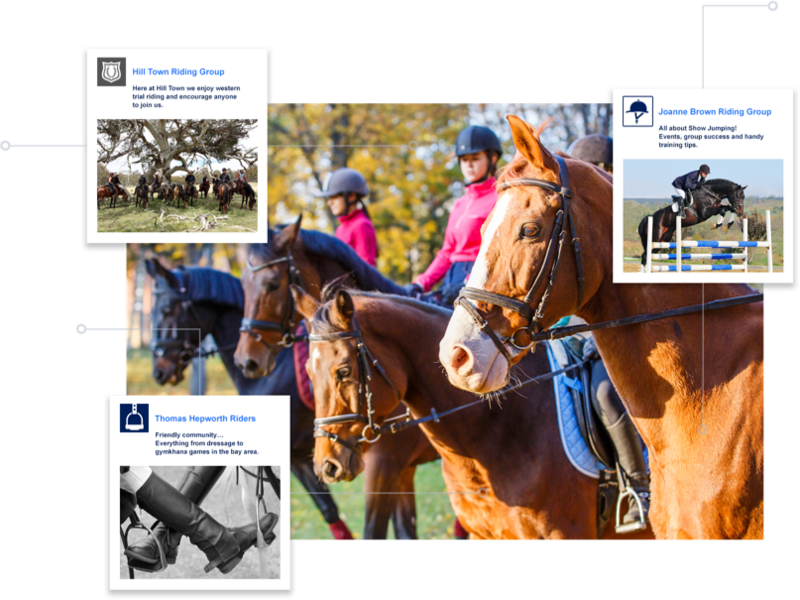 With your rides, pictures and videos automatically added to your activity feed, your Huufe profile allows you to share all your equine achievements with your friends and followers. Don’t forget to follow friends and other equestrians’ profiles and see all their equine activities. 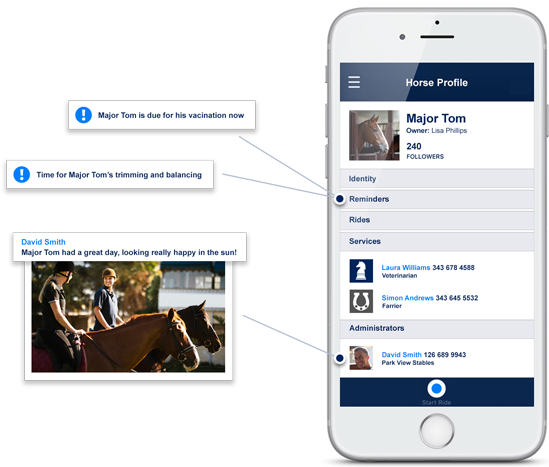 Create a profile for your horse where each ride is captured automatically allowing you to analyze your horse’s performance. Once your horse has a profile you can manage its admin in the Stable Management section. Create automatic reminders for vaccinations, worming, farrier visits and other important events. Helping you to manage the day-to-day administrative tasks and maintain a digital record all easily accessible and one place. Keep the details of your farrier, veterinarian and other service providers. Link to their profiles in Groups and the Service Directory. Assign other Huufe App users as riders or administrators of your horse. 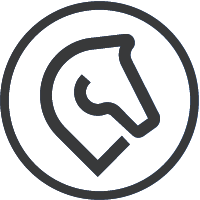 Now you can track your horses’ activity whilst boarding or in livery. 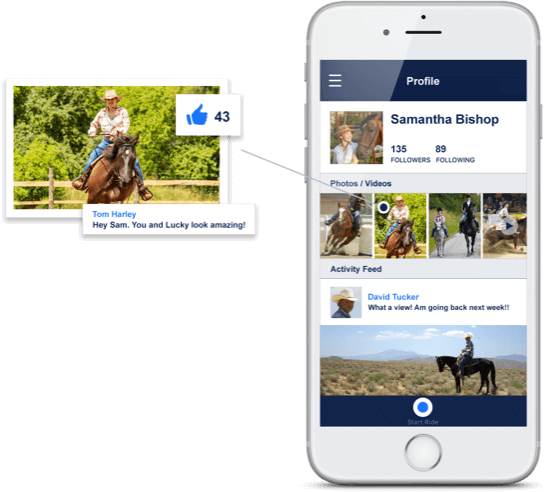 In-app training videos from Your Horsemanship to improve your confidence, your skills and to give you results at your fingertips. Learn with your horse, at home and in your own time. Benefit from 24/7 access to Jason Webb’s years of experience training young and remedial horses. 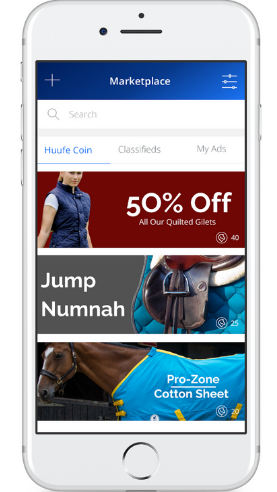 In addition to the HuufeCoin Marketplace, the Huufe Marketplace also includes a free dedicated equestrian classifieds platform. 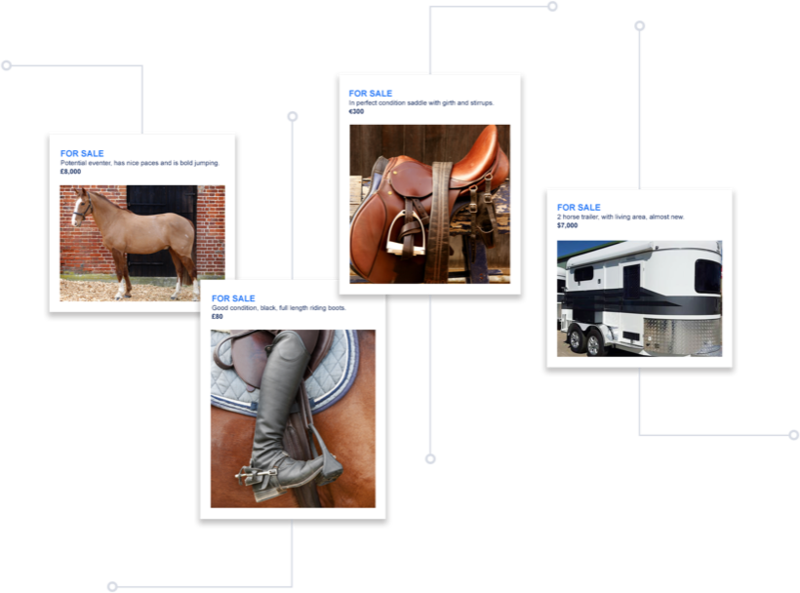 Nothing but horse ads, tack for sale, equestrian services, rugs, trailers… everything equestrian. Browse for all your horsey needs or create and post your own stunning classifieds FOR FREE. If you are training for Eventing, Cross Country, Showjumping, Dressage, Barrel Racing, or any equestrian competition – data will help inform your exercise plan. By recording your rides over time, you will better understand how to improve both your horses’ and your own performance. Use the Huufe App to truly enrich and enhance your exercise routine, to see tangible results. Build your network by joining clubs and groups. Find groups and clubs that inform your equine passion – locally or wider-afield. Share equestrian knowledge and best practice or organize events. Or create your own group to enhance your local riding club, equestrian community group or business. The Huufe App is the best place to discuss and share your horsey interests.